home? haha definitely not. The solution is Apps. trust anything they make. Their analog to digital converters are some of the best out there. 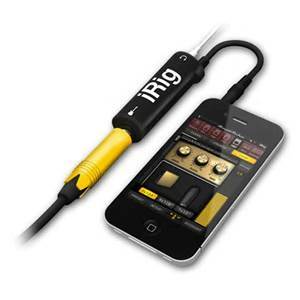 best Virtual Amp Applications out there are: Amplitube, Jamup, Studio Devil, to name a few. FXs like delay, flanger, chorus, compression and more. You will need a pair of headphones though, as phone speakers are usually not that good.